A public meeting on Cooperatives, The Commons and Job creation is being co-hosted by the Economics Subgroup of Transition Galway in partnership with local Arts Collectives Third Space Galway and An Áit Eile and Galway 2020. The groups are aiming to bring a diversity of Galway’s creative communities, cooperative oriented groups and local support organisations together, to make connections, present alternatives to the current system and identify new possibilities for collaboration and job creation through Co-operatives and the Commons. By Commons we mean people self-organising to co-produce and co-govern resources that they recognise as important for their livelihood and well-being and that of the planet. 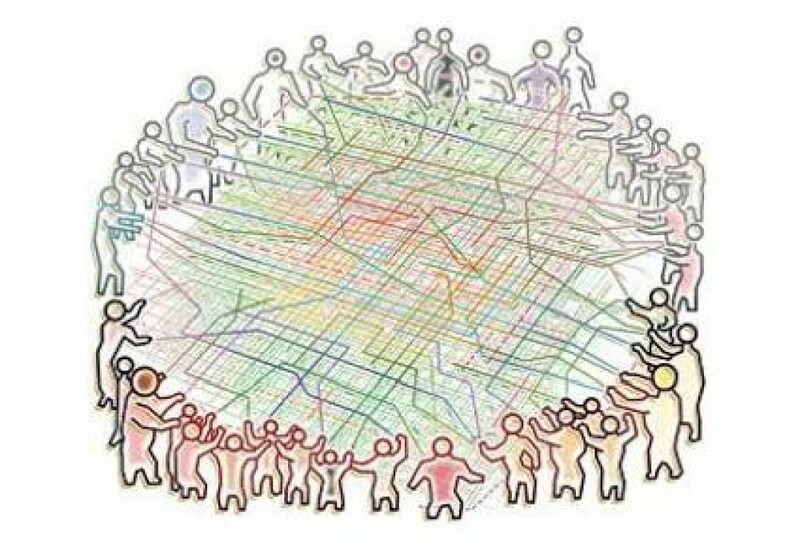 It is widely recognised that people are in need of an alternative and the Cooperative and Commons are a tried and tested form of self organising that has been present in traditional societies and developing today in innovative ways thanks to the internet and technology. At present in Ireland support for emerging Community Initiatives including Co-Operatives and the Commons is building with support from among others the P2P Foundation, Transition Towns, Cultivate, The Plunkett Foundation and sections of the Arts and Culture Sector. The group hopes to foster new connections with local support agencies such as the Galway City Partnership, Galway City and County Council, Western Development Commission, Leader, the Local Enterprise Office, Udarás Na Gaeltachta and Galway 2020 all of whom are invited to attend. Speakers at the meeting include Kevin Flanagan of the P2P Foundation, Davie Phillip from Cloughjordan Ecovillage who manages the Community Resilience Programme at Cultivate Living and Learning. Davie has organised many events and workshops across Ireland promoting sustainability. Along with Duncan Stewart he judges the “Get Involved” Competition. Also speaking will be members of the Limerick Community Grocery Bill Kelly and Deirdre Mac Mahon; Kieran Cunnane Transition Galway, Tom Stewart An Áit Eile and members from Third Space Galway, 126 Artist – Run Gallery and a Renewable Energy Co-Operative in County Tipperary. Local and regional employment and social economy support agencies will also be represented including Pauline Leonard of the Western Development Commission. The main requirement for anyone attending is an interest or passion in cooperatives and self organising, creating sustainability focused networks for yourself and your community and a willingness to actively participate in making this happen.